New dates will be announced later in the year. Hi John - A great big Thank you for your participation in The Chromatic Weekend. It was a pleasure to meet you at the weekend and attend your workshop. I regret not being able to go to all your workshops you have a great manner about you and explain things easily to people. Your workshops were highly informative, fun and captivating. We have heard so many positive comments about you Well done! I hope to see you again perhaps at Bristol festival? Kind Regards Katrina and the NHL Chromatic Weekend team . I just had to say, thank you for your efforts and the friendly delivery on todays course. Although I have been playing harmonicas for many years, I have only ever scratched the surface of the inner workings. Your course has made me more confident to know what to do and meeting new friends as well! Purchasing a harmonica online and what to look for. 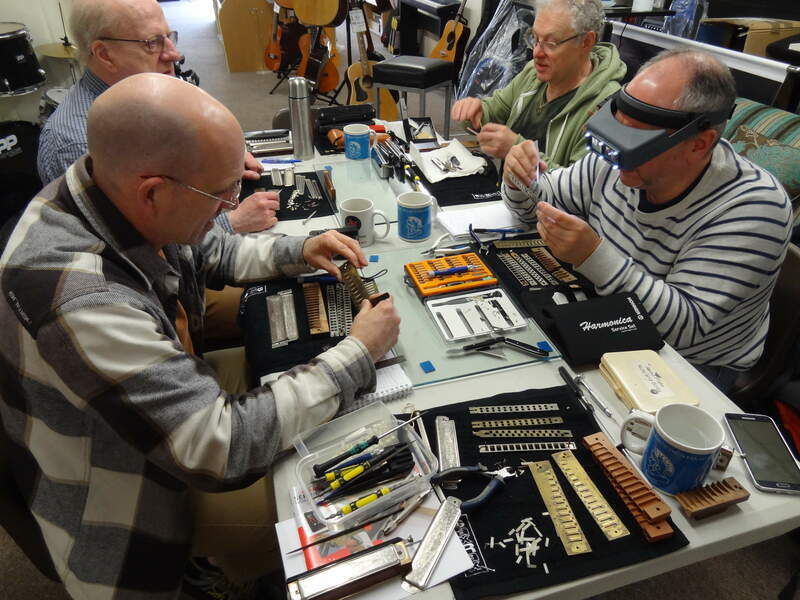 As the Certified Hohner Repair Technician for the UK this course is a must for anyone looking to maintain their own harmonica. 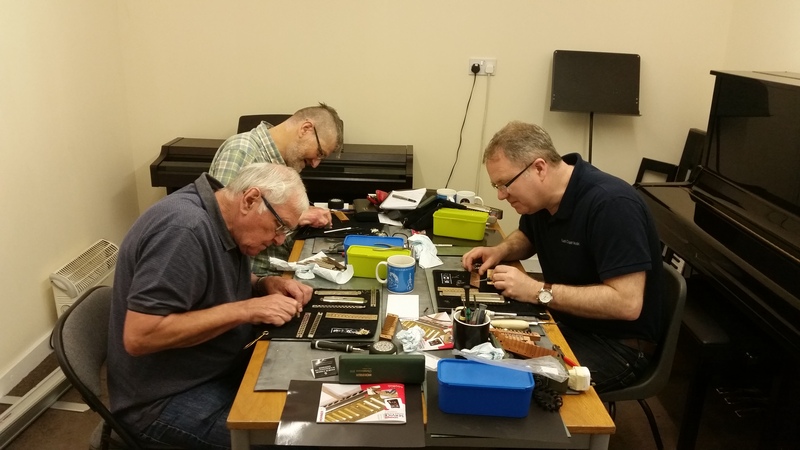 This is the first workshop of its kind in the UK where you will actually work on your harp. Free Tea and Coffee will be provided all day. You will need to bring a pack lunch. The course will run from 10am to 3pm. Due to the limited space and tools I have available, I want each participant to get really involved and therefore I will limit the class to 8 places. If there is greater demand and the dates are not suitable, please get in touch so that I may consider running more classes. 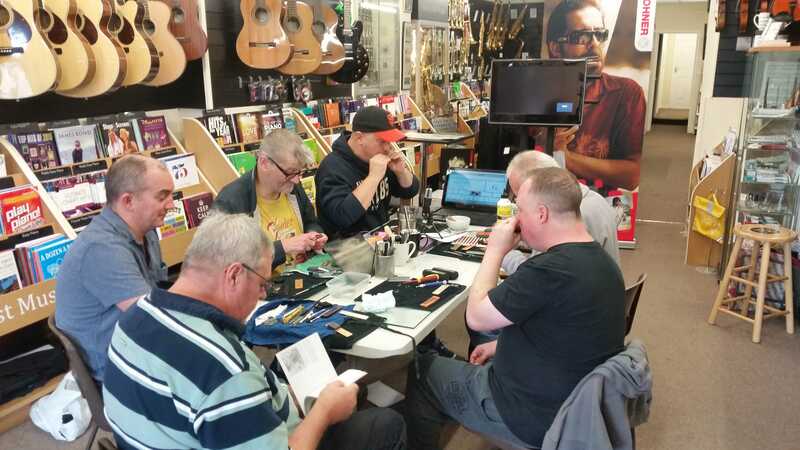 You will need to bring your own harmonicas if you would like to work on them, but if you dont fancy practicing on your harp then I can supply the harps for the day... . The cost is only £65 for the full day. ( Free Tea and Coffee and biscuits will be provided. ).